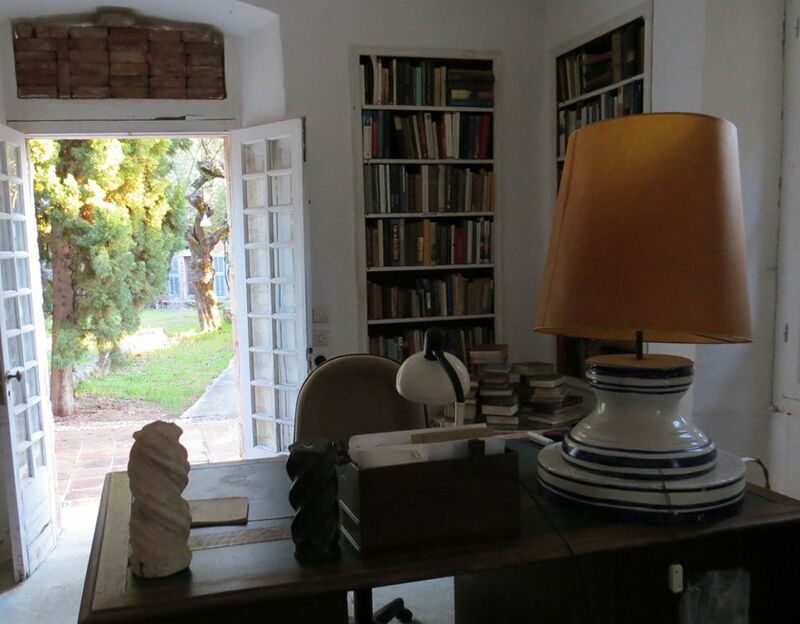 Patrick Leigh Fermor, known to his friends, readers and followers as Paddy, is regarded as one of the finest travel writers of his generation. At the age of 18, after a disastrous schooling and undecided what to do next, he walked across the Europe of the 1930s. 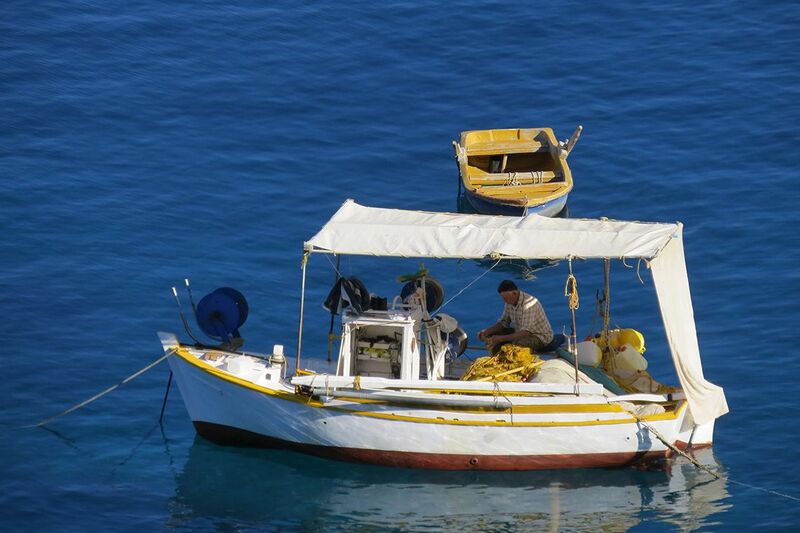 This odyssey led him ultimately to Greece, a country he came to love deeply. 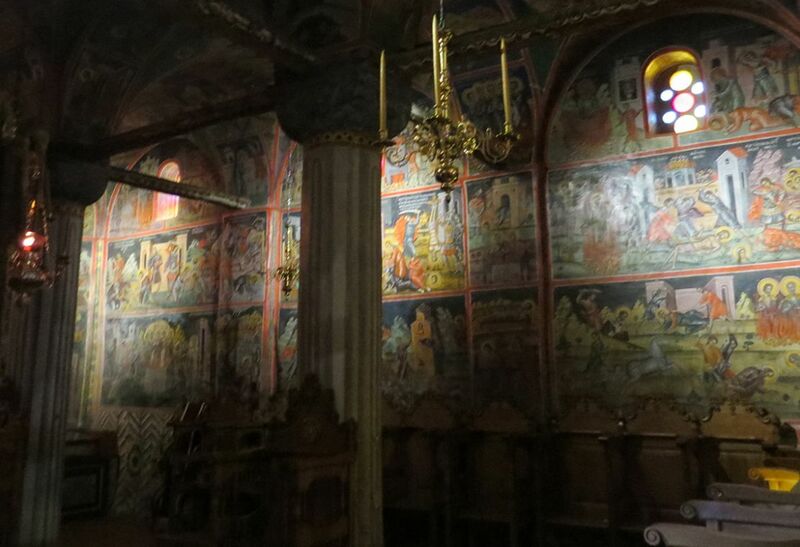 This is where he made his home and wrote his honed and scholarly, yet deeply sympathetic, travelogues. During this highly original tour, we follow in Paddy’s footsteps. 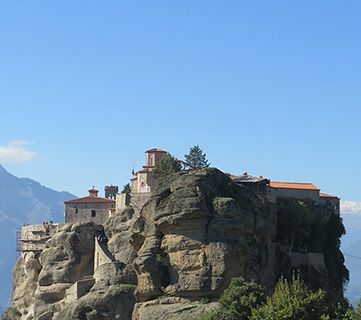 Beginning in central Athens, we travel to the monasteries of the Meteora, to Missolonghi, with its proud associations with Lord Byron, and walk between the remote villages of the Kravara, all so vividly described in his book ‘Roumeli’. We visit Olympia, birthplace of the Ancient Olympic Games, and, in the southern Peloponnese, walk through villages of tower houses and frescoed Byzantine churches, seeing the villa (currently the subject of restoration) Paddy built for himself and his wife Joan on the tranquil shores of the Messinian Gulf. Our journey ends at dramatic Cape Tenaro at the (almost) most southerly tip of Europe. Greece is, of course, very different from the country Paddy experienced more than 60 years ago, but the magnificent mountainous landscapes remain unchanged, and, as we wander through unspoilt villages, we are welcomed with the same exuberant Greek hospitality which Paddy recounts so passionately in his traveller’s tales. 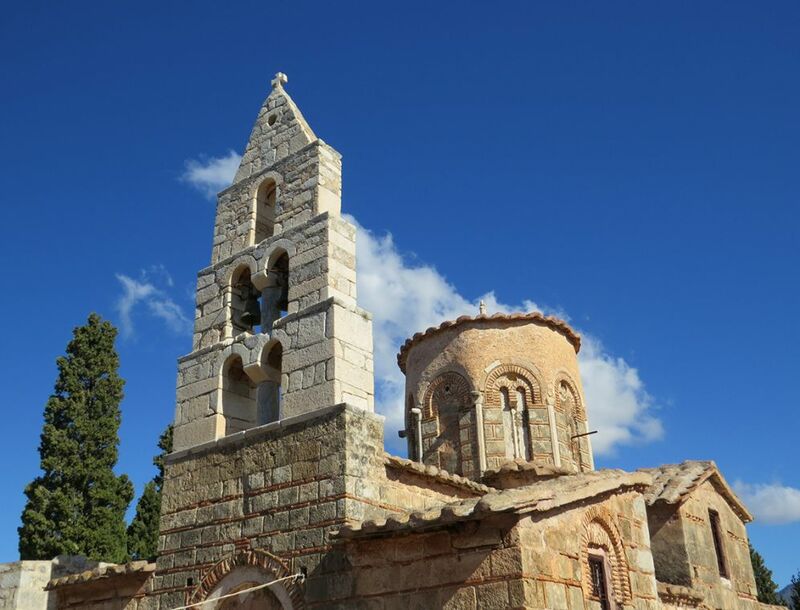 Transport yourself to the Peloponnese to join us for a short reading from Paddy’s Mani recorded in October 2017. 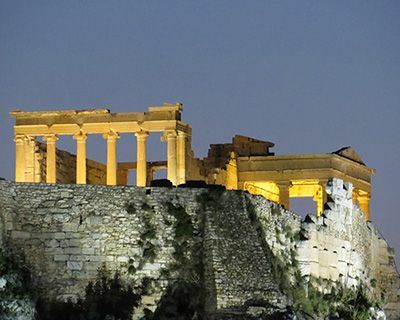 We meet in the afternoon at Athens airport and transfer to our comfortable 4-star hotel, located just 5 minutes walk away from the new Acropolis Museum and within easy walking distance of the historical city centre. After drinks in the hotel’s rooftop bar with superb views of the Parthenon, we dine at the Plaka’s oldest restaurant, one of Paddy’s favourite Athens hangouts, where he would frequently meet with his close friend, George Katsimbalis. After a leisurely breakfast, we stroll to Syntagma (Constitution Square), where Paddy lamented the winds of change that had already started to sweep away the elegance of nineteenth century Athens. 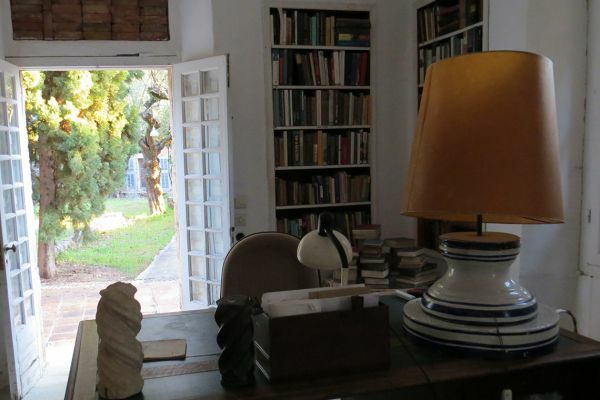 We visit the outstanding Benaki museum, followed by an excellent lunch in the museum restaurant. 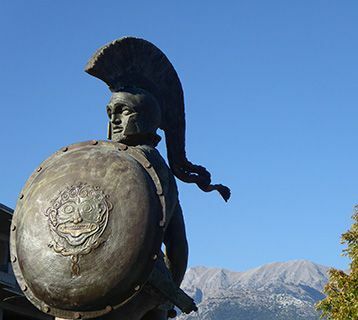 This afternoon, we drive (4 hours) to the Meteora area, stopping half way in Thermopylae, the location of the famous battle between the mighty Persian army and the 300 Spartans in 480 BC. 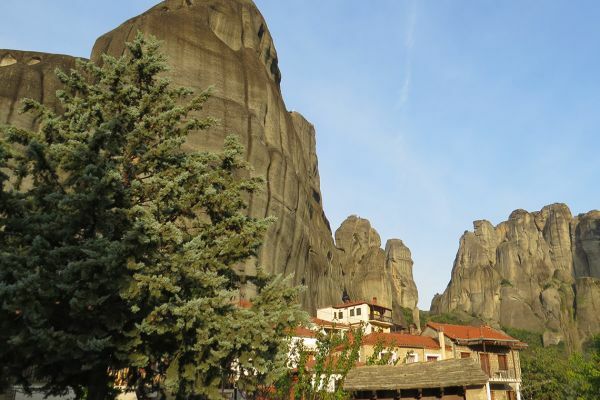 We spend the next two nights in a recently restored ‘Archondiko’ (manor or mansion) hotel in Kastraki, set in the shadow of the incredible rock pillars. 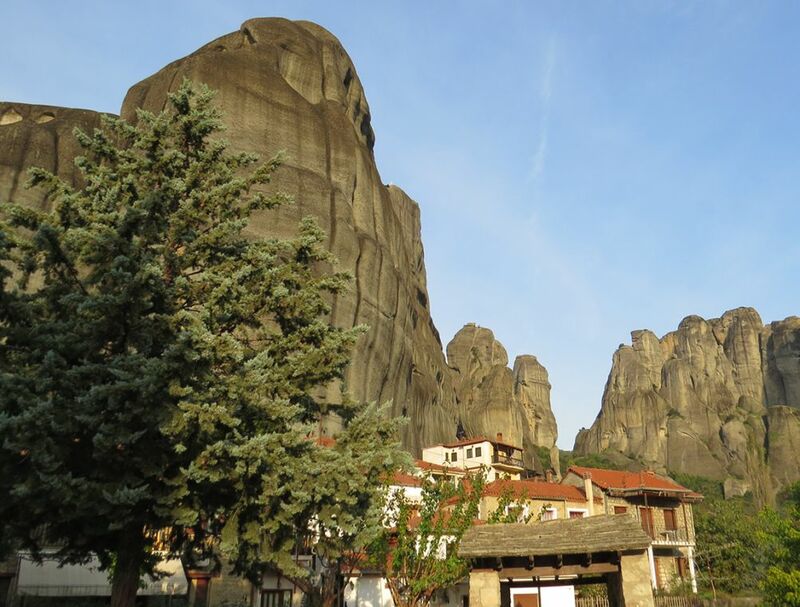 Today, we explore the Meteora on foot, initially following the route taken by Paddy when he accompanied the Abbot and his provision-laden mule through the October twilight up to Barlaam monastery. We visit the now flourishing Monastery and, after a simple picnic lunch, head for the neighbouring Monastery of the Transfiguration, described by Paddy as ‘inhabited’ by ‘the ghost of poverty.’ From here, our walk continues beyond the main group of monasteries, over incredible rock formations and through oak forest back to the village of Kastraki (5 miles mainly stony terrain, one short steep ascent to the monasteries – at least we no longer need to be hoisted up in a rope net!). 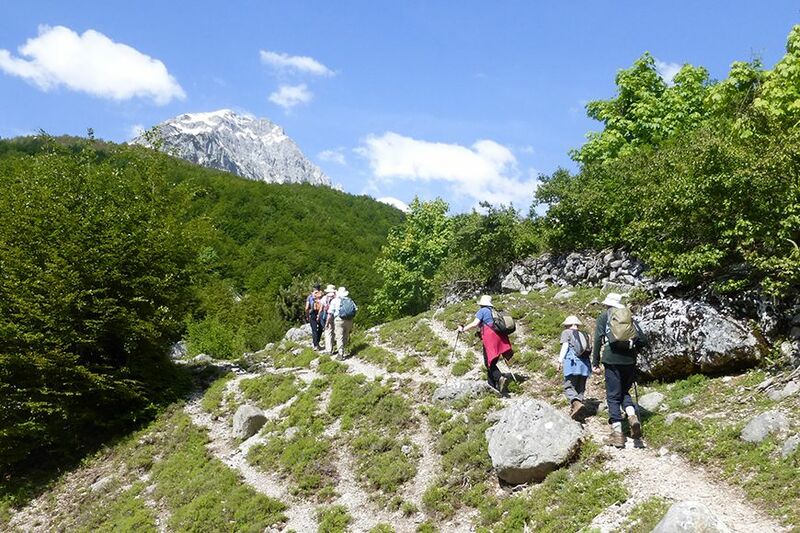 Paddy describes his journey to the Missolonghi area as ‘tortuous’; today we cover the 140 miles of mountain scenery in a comfortable 4 hours. After lunch in a delightful fish restaurant, we stroll back past the bird-rich lagoon, then, in the town of Missolonghi, we visit the Garden of Heroes, where the statue of Lord Byron, the great Philhellene, is afforded pride of place. No trace, alas, of Byron’s slippers, the quest for which took Paddy there in the brutal heat of one midsummer. In the late afternoon, we continue our journey to the little-known mountain region of Oreini Nafpaktias, where we will spend the next two nights at a comfortable stone-built guesthouse set high above the village of Platanos. Today begins with a visit to Platanos, where, in the crowded village café, Paddy amused the locals by quickly picking up Bouliarika, the secret language used by their wandering mendicant forebears. We then retrace his walk to the neighbouring village. A steep 45-minute optional climb on the original path brings us to the brow of the gorge, though there is now no trace of the path he then descended at breakneck speed. We enjoy a scenic picnic lunch at a wayside chapel before following the quiet lane down into idyllically located Perista with its winding, cobbled streets and spacious village square. 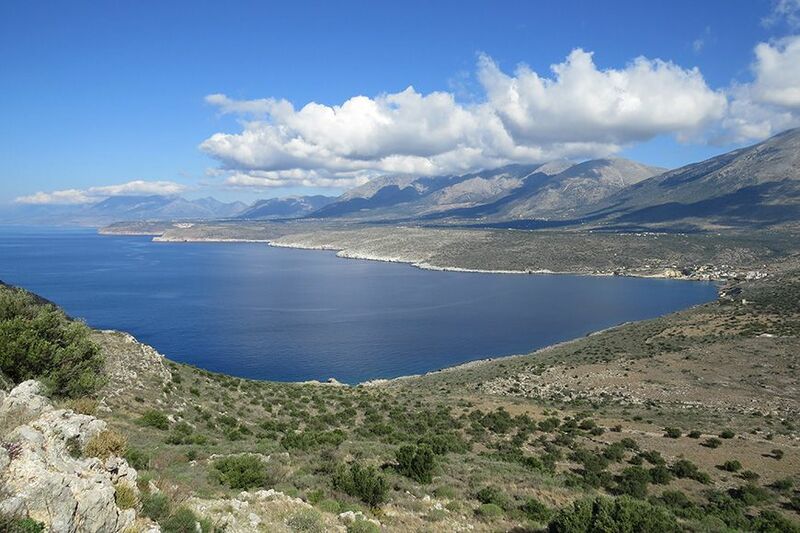 This morning, we leave Roumeli behind and head south through the Peloponnese. After approx. 4 hours, we reach Ancient Olympia, where the Olympic Games began in 776 BC. 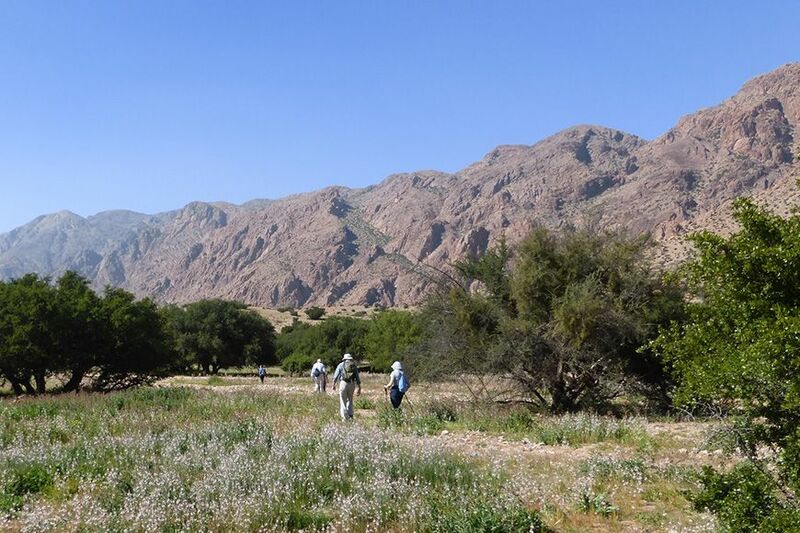 Following lunch, we take a leisurely guided tour of the site and the excellent museum, and complete our day with a short walk through this lush landscape before checking in to our 4-star hilltop hotel. This morning we drive to the Mani. After a brief walk around Kambos and lunch in the village taverna, we drive up to Kendro, high on the western flank of the Taygettus range at the edge of the Koskoras Gorge. Our pleasant 3-hour afternoon walk follows the route taken by Paddy and Joan when they emerged from the overgrown gorge after their momentous crossing of the mountain. We visit the ‘handsome old church’ on top of a knoll, and the neighbourhood where they sampled their first glass of Mani wine. We complete our journey to Kardamili, the village which Paddy and Joan were eventually to make their home. 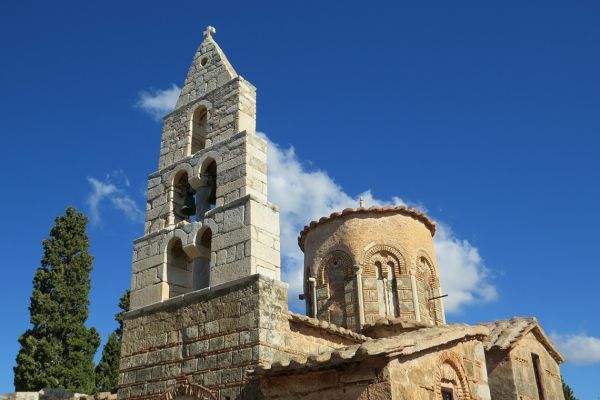 Described by Paddy as ‘unlike any village I had seen in Greece,’ Kardamili is charming. Our accommodation for the next 2 nights is in comfortable seafront apartments, with private balconies looking out to sea and with swimming on the doorstep. Departing from our hotel on foot this morning, we visit Old Kardamili, the fortified stronghold of the Troupakis clan and meeting point for local leaders during the Greek War of Independence in 1821. It has been recently restored and converted into a museum dedicated to the traditional way of life in the Mani. 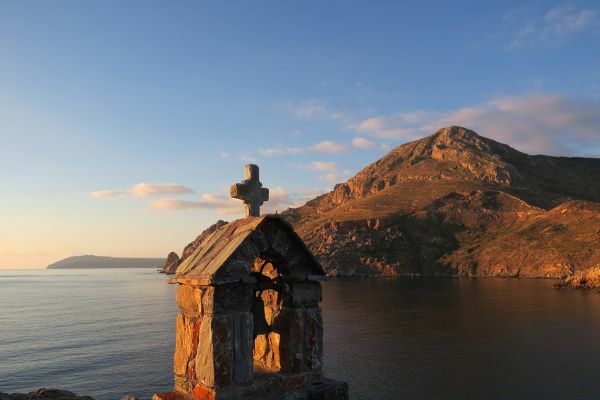 For the remainder of the day, our walk will include the mountain villages of Agia Sofia, Exohori and Hora situated on the rim of the spectacular Viros Gorge, and the tiny church of St Nikolaos, where Bruce Chatwin’s ashes were scattered by Paddy and Elizabeth Chatwin. Today, we head further south and enter the Deep Mani, nowadays linked to the Kardamili area by road rather than by the coastal steamer used by the Leigh Fermors. We come first to Areopolis, ‘the city of Mars’ still full of impressive tower houses and ‘gregarious life’. Starting from the square where the War of Independence began in 1821, we wind our way through the narrow lanes of the old town. After our picnic lunch, we follow a stony track down to the caves of Diros Bay, which we visit on a flat-bottomed boat skilfully steered through a series of stalactite adorned chambers. Late afternoon, we check in to our comfortable, traditional-style hotel overlooking the sparkling waters of Limeni Bay. 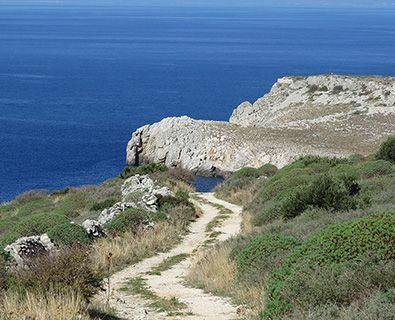 For our final excursion, we drive south to the tip of the Mani Peninsula. Our first stop is at the ‘desolate wilderness’ of the Tigani Peninsula, where Paddy described with great feeling the ‘tatterdemalion’ women he encountered collecting rock salt in the baking summer heat. 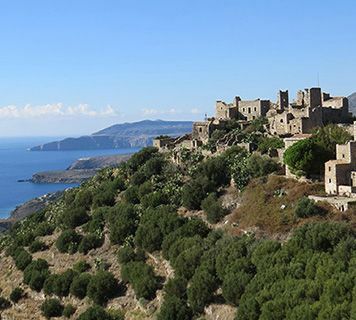 Further south, we take an easy 30 min walk around the iconic, ruined tower village of Vathia, situated on a dramatic promontory high above the Mani coastline. Following lunch, we arrive at Cape Tenaro, where we begin our walk to the lighthouse, 90 minutes away over the barren headland. Paddy came here by boat and swam into what he believed to be the entrance to Hades, though we discuss other possible contenders. There is no finer place than this Cape, where the Mani peninsula sinks into the confluence of the Aegean and Ionian seas. Our journey concludes with a journey to Athens airport. En route we pause in Sparta, which is where, in a barber’s shop, Paddy’s Mani adventure began. If you are willing to share but no other suitable guest books on the trip, we regret that the supplement will be payable. We shall endeavour to obtain double rooms for single occupancy whenever possible, but some hotels do have single rooms that are small and less well positioned. In this case, the supplement is simply ensuring your comfort and privacy. Ruth Hackney – read Oriental Studies at Cambridge and is a fluent Greek speaker with many years of experience guiding walking tours of Greece. 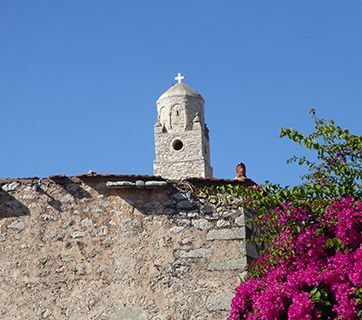 She has lived for decades in a traditional tower house in the Mani. Visitors from the EU, US, Australia, Canada and New Zealand require a valid passport, but not a visa, for entry to Greece. If you are a national of any other country, please check visa regulations with your nearest Embassy of Greece. 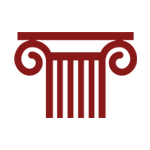 At present, there are no specific or compulsory health requirements for entry to Greece. Residents of countries in the EU can only claim free (emergency) medical treatment in Greece by presenting their European Health Insurance Card (EHIC). You may also wish to check the advice given to travellers by the Department of Health and the FCO. Short walks of 1 – 3 hours every day, mainly on stony tracks and quiet paved roads. Longer optional walks of 3 – 6 hours available on 5 days, mainly on stony tracks and traditional paths, some of them uneven and rough. Lightweight walking boots with good ankle support and a proper Vibram type sole are essential and walking poles/sticks are a good idea. 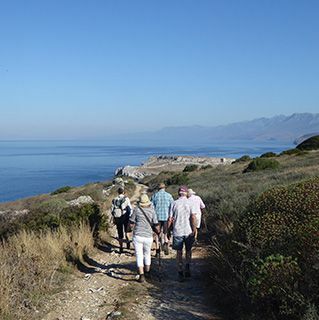 October is normally very pleasant in Greece and suitable for walking, with temperatures between 12° and 25°C and minimal rainfall.